I don't know about you, but my heart is hurting and my mind can not fathom the depth of evil that visited Sandy Hook Elementary School in Newtown, CT on Friday morning. I couldn't make myself go to my Sunday School Christmas Party Friday night due to a deep sadness and depression that came over me as I listened to the breaking news. Each new revelation made the horror more tragic and all I could envision was the little bodies of those precious 20 children lying on the cold hard schoolroom floor ....can you picture the Horror those first responders must have seen as they came upon the grizzly scene? God is BIG enough for our questions. GOD was right there in Sandy Hook even as the shooter rampaged through the building. The Bible tells us that bad things happen to good people. For ALL have sinned and come short of the Glory of God. God know me and He knows I ask the BIG questions but I also KNOW HE is in charge even when I can't understand. When I can't always understand the WHY? I can always TRUST God's Heart. He loves Me, He loves You, and He loves every one of those 20 children and 6/7 adults. 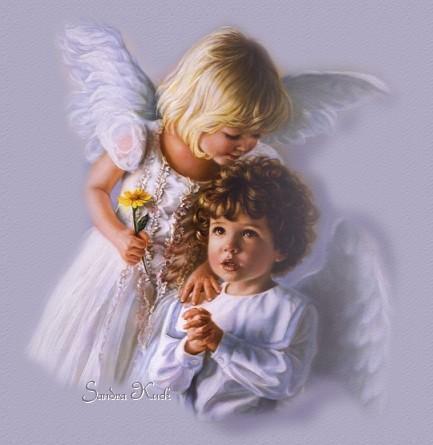 Without a shadow of doubt, Heaven gained 20 precious little Angels on Friday morning and Hopefully each one of those 6/7 adults had a personal faith in Jesus Christ to where they joined those children as they entered into Eternity. 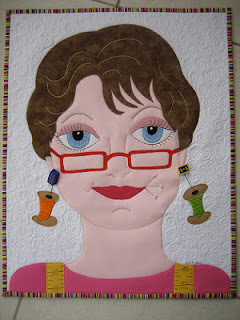 Thank You my dear quilting/blogging friends for indulging me today. I simply had to Journal my thoughts on this Tragic event before I could move on to any topic other than Sandy Hook. It has weighed so heavily on my mind and heart. I know for certain, I hugged my 5 grandchildren extra hard over the week-end...each one so precious to me...more precious than gold! I have seen several blogs in which collecting quilts was mentioned as a way to show our support to the people of Sandy Hook. I don't know which group I may join up with but if any of you know of a group that you like who are making quilts/blankets/pillows to send to Sandy Hook, please let me know. 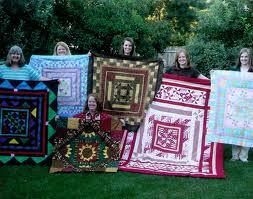 I read that Project Linus sent over 700 quilts and another group, Project Binky, sent between 200-300. I don't want to overload the town with quilts they don't need so I suggested to one blogger that pillowcases might be nice to make and send in January. If you have any thoughts or input, please, let's talk!! You sound like you have been feeling like I have. I have been so overwrought with grief for these children, their families, the staff at the school, the first responders and the entire community. I am doing better today, but I am still completely overwhelmed at the evil that happened in Newtown. Evil is all around us, but so is the Lord and His grace. I keep reminding myself of this. Last night and again this morning, I prayed and asked if there might be something I could do to help someone in Newtown. 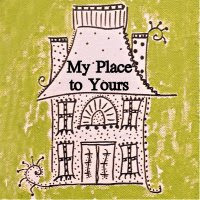 While reading blogs this morning, Karen Griska at http://selvageblog.blogspot.com/ had a post about making pillowcases for the children at Sandy Hook School. I made up a pillowcase, just finished minutes ago, and am going to send it out tomorrow. I was going to make many, but thought there would probably be a lot of us who would want to do something, so I'm just sending one. Hugs to you, my online friend. Like you I want to do something tangible! I think a pillowcase would be quick and something helpful. I saw on TV many children in the town holding Teddy bears that had been given to them. A wonderful idea. Project Linus sent over 700 quilts as well as Project Binky which sent from 200-300 according to a sister blogger. Hugs back to you and for all the children in your life. We also at my church had a monment of silent pray for the victoms of this most tragic event. This tragedy has touched a nerve in every community across the country and even the world. Children are our most precious gifts and worthy of our protection even at the cost of our lives. Continue praying as I know I will. I can't keep it far from my thoughts. The first funeral is today for the youngest little boy, Noah who had a twin sister in another classroom. Don't you know this will be with her for the rest of her life? Hugs to you and to all the children in your world. You my friend have experienced the grief many of these families are feeling. You can pray in a way many of us can not understand if we have not walked in their shoes. For me, it would have been so painful knowing my child/grandchild's little body had to be left on that cold floor inside that school building overnight. However I did hear that they got most of the children to the funeral homes by 1:00 a.m. Did you hear the story of the 52 yr. old 1st grade teacher found On TOP of a pile of her children trying to shield them with her body? Unbelievable bravery! I would have done the same without hesitation as would most every teacher I know. Prayer changes things and is our most powerful tool in situations such as this Sandra. Our prayers are being heard. I pray too for those who have been marginalized by society and know no way other than violence to express themselves. Christ asks us to forgive and that may be more difficult than prayers of sympathy. So true Julie...obviously, something went very very wrong with the shooter Adam Lanza. I've seen young men like him over my 30 yrs of teaching and had no resource of help to access for them. My husband saw hundreds in his years as Guidance Counselor and more often than not, the authorities thought he was being too cautious or blowing the urgency out of proportion. We must rethink how we deal with these young men in particular that feel so disengaged and capable of such atrocities. You are very insightful Julie. Forgiveness will have to come in time in order for the families to move forward. Right now, however, their grief is so overwhelming they can feel little to nothing but numbness.